MAGEA4, also named as MAGE4 and CT1.4, is one of the germ cell-specific markers (PMID:16540528). 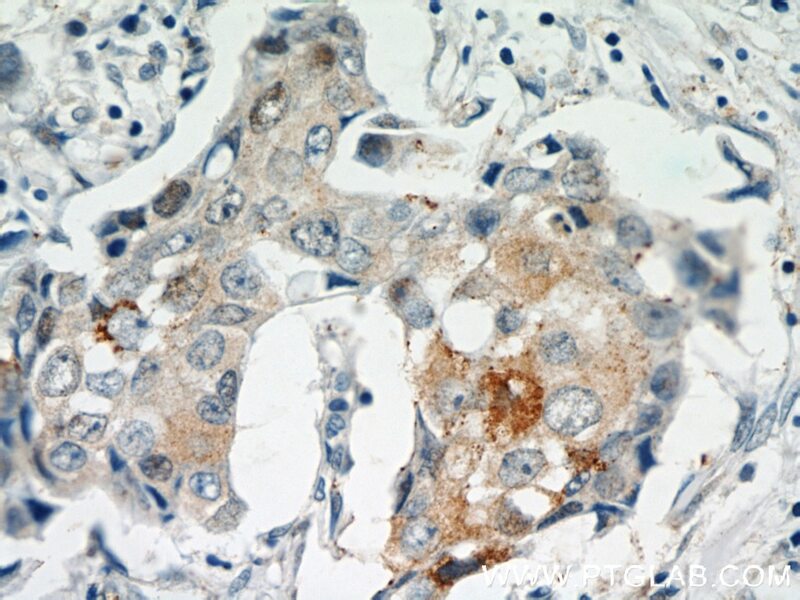 SMAGEA4 is one of subgroup I MAGEAs members which may play important roles in the immune surveillance of certain tumor types and play important roles during embryogenesis. 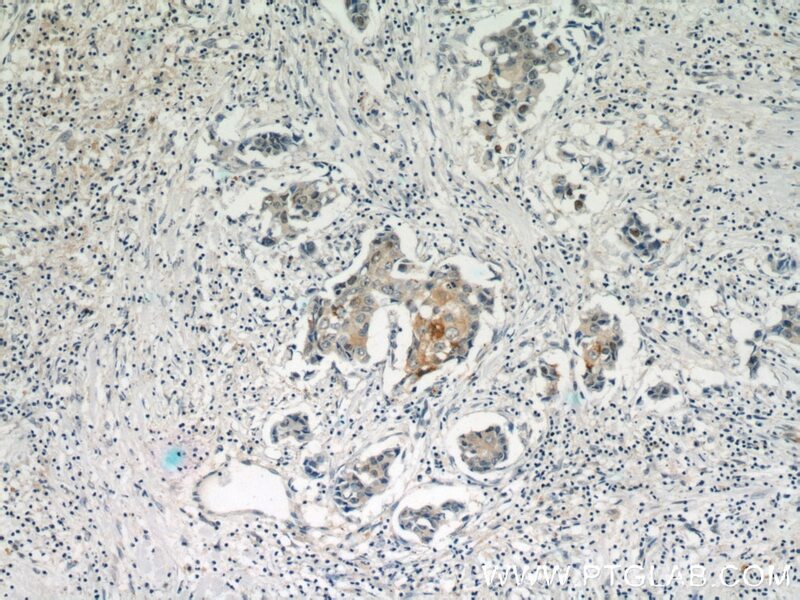 (PMID:15222021) The antibody is specific to MAGEA4.